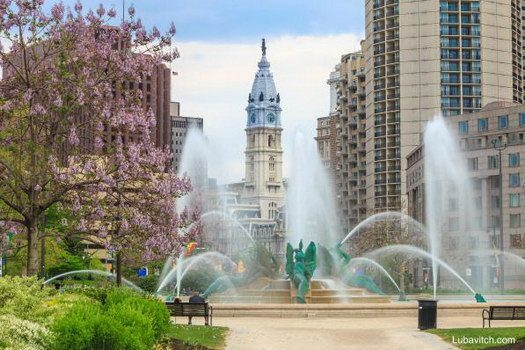 Center City, Philadelphia is home to some of the oldest synagogues in the United States, like the first Ashkenazic congregation established in the Western Hemisphere in 1795. One of these historic synagogues, the 100-year-old Vilna shul, known for its warm, inclusive services, is renovating its vintage sanctuary and moving weekly prayer services to the third floor to allow a new women’s mikvah to be built in its place. It’s a first in eighty years. 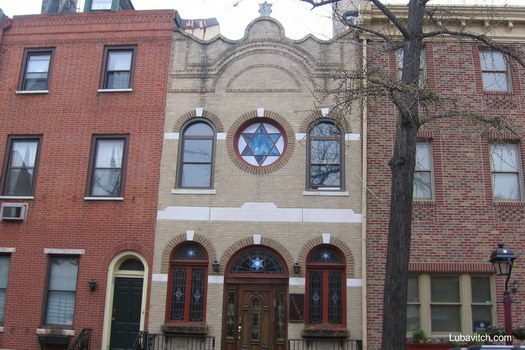 Center City has a Jewish school, a kosher restaurant, and numerous synagogues, but there hasn’t been a mikvah in Center City in eighty years. Women wishing to observe the foundational mitzvah must travel to mikvahs in the suburbs making this a hassle, especially for city dwellers without a car. 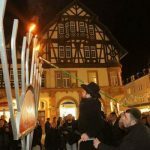 It’s going to be hard for members and friends of the Vilna synagogue to say goodbye to their European-style sanctuary with its stained glass windows, women’s balcony, colonial-style chandelier, and “heimish atmosphere,” as Rabbi Menachem Schmidt, who spearheads the project, puts it. According to a 1990 article by the Jewish Exponent, the local Jewish newspaper in Greater Philadelphia, the congregation was formed in 1904 by a group of Lithuanian immigrants and moved into the current building in 1922. It had been the home of Bernard Shapiro who vowed to to convert his house into a synagogue if business did well. The congregation thrived until the 80s when membership started dwindling as congregants passed away. 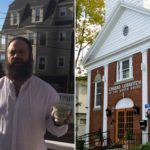 With the shul struggling to remain active, even paying some to join services, the community turned to Rabbi Schmidt. “Without him, we’d have no synagogue,” congregant Sol Kalter told the Jewish Exponent. 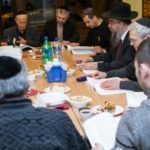 “He gave the shul new life.” Another congregant, Elliot Weinberg, told the paper, “We were glad someone wanted to use the building for a Jewish purpose.” Though the minyan itself is still small, congregants from surrounding area synagogues join Vilna’s popular weekly farbrengen after services. The tradition will continue, Schmidt promises, even after the mikvah takes over the main floor. 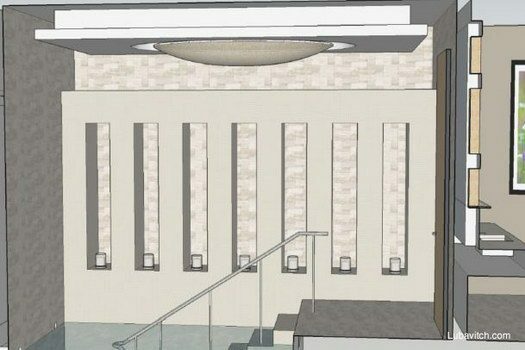 “We didn’t want to tear down the existing space.” Schmidt thought they might find a way to place the mikvah, named Mai Shalvah, in Philadelphia’s flagship Chabad synagogue, B’nai Abraham, but there was no space. He tried Vilna’s basement but the costs of doing that were prohibitive. 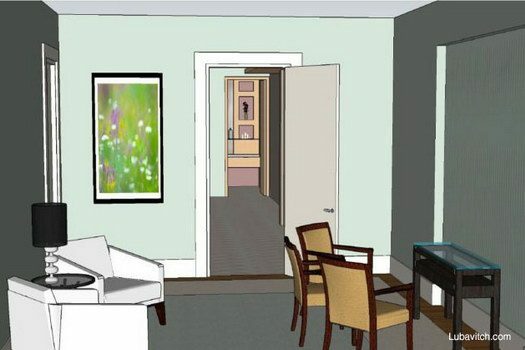 “The mitzvah of mikvah trumps anything else in Jewish life—including a synagogue—and we’re excited for it to finally happen here at Vilna.” More than $600,000 in donations and pledges has already been raised with the help of donor Chesky Dershowitz and Mikvah USA. 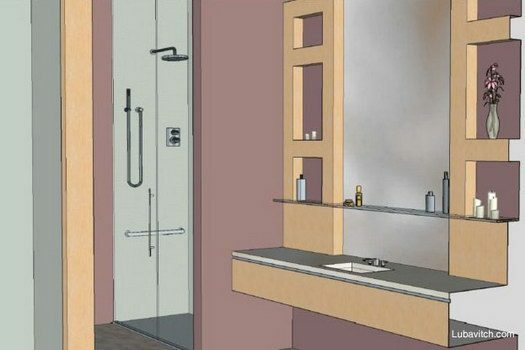 The new mikvah will be completed in the fall and will make the practice more accessible. It comes at a time when demographics of the area are changing and more young families are moving in.